The Emergency and Critical Care Service in the Wilford and Kate Bailey Small Animal Teaching Hospital at the Auburn University College of Veterinary Medicine has earned a Level I rating by the Veterinary Emergency and Critical Care Society, the highest rating that can be awarded to a veterinary emergency and critical care facility. Society (VECCS), which has a mission statement of promoting the advancement of knowledge and high standards of practice in veterinary emergency medicine and critical patient care. The certification is for two years. The Bailey Small Animal Teaching Hospital is a division of the Auburn University College of Veterinary Medicine. Its mission is two-fold: as a premier provider of veterinary care in the Southeast and to educate veterinarians and veterinary specialists. Dr. Lenore Bacek, left, and a team provide medical care to an animal. 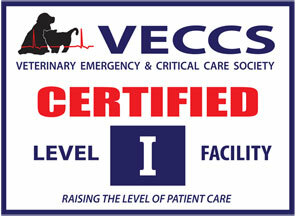 The VECCS has three levels of certification based on factors including hours of operation, facilities and equipment available to treat patients, workflow, veterinarians available for treatment and consultations, and the level of education and training that veterinarians have. Level III is the lowest certification, Level I is the highest. The Emergency and Critical Care Service is one of 13 specialized services in the Bailey Small Animal Teaching Hospital, a referral and primary care veterinary facility. The Veterinary Teaching Hospital is comprised of Bailey Small Animal Teaching Hospital as well as J.T. Vaughn Large Animal Teaching Hospital. Faculty clinicians oversee patient care in conjunction with residents, interns, veterinary technicians and fourth-year veterinary students, who undergo intensive two-week clinical rotations in small and large animal. 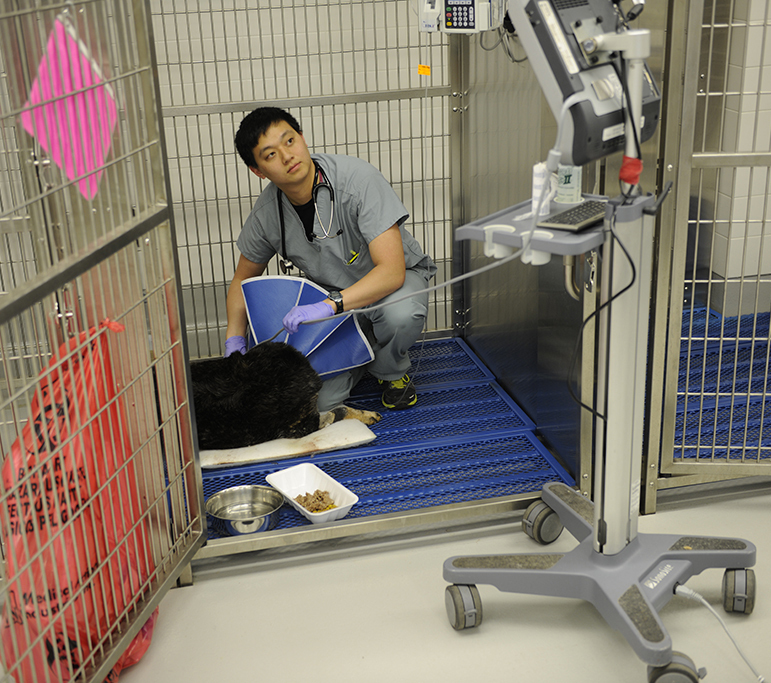 Dr. Kendon Kuo monitor’s a dog’s vital signs. 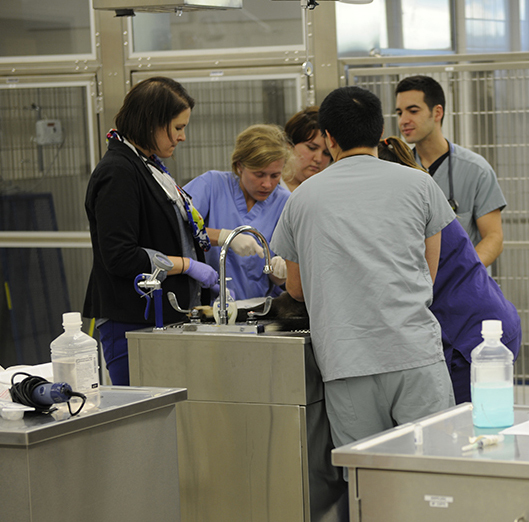 The Emergency and Critical Care Service has two board-certified Diplomates, Dr. Bacek and Dr. Kendon Kuo; four residents; six interns; 24 veterinary technicians, four of whom are board-certified in emergency critical care; and fourth-year veterinary students in a clinical rotation. “It’s great for us to be acknowledged for the high level of care we provide for people’s beloved pets,” Dr. Bacek said. The award announcement will be placed in the Journal of Veterinary Emergency and Critical Care, and the Bailey Hospital will be added to the directory of the VECCS’ website, which clients can search to find facilities that are certified and at what level. The Wilford and Kate Small Animal Teaching Hospital is one of the nation’s leading medical facilities for animal health care while also providing the companion animal clinical education for future veterinarians. The 208,000-square-foot facility is one of the largest and most technologically advanced teaching and referral hospitals in the country. The VECCS is an international, professional society of veterinarians, veterinary technicians and managers dedicated to promoting the advancement of knowledge and high standards of practice in veterinary emergency medicine and critical patient care.